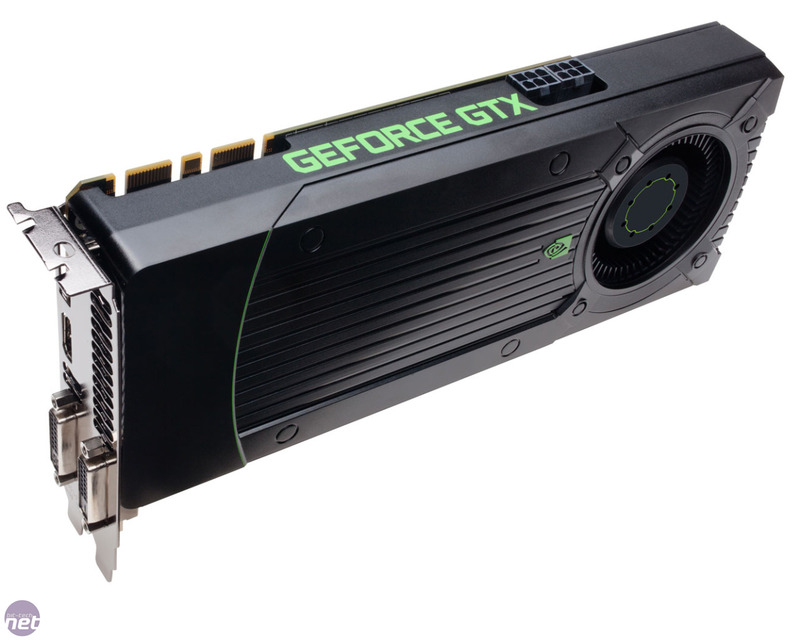 Since the arrival of the GTX 680 2GB at the end of March, Nvidia has looked pretty comfortable at the top of the graphics market. The 680 2GB roundly surpassed AMD’s competitor, the HD 7970 3GB, and to add insult to injury, Nvidia has since beaten AMD to the release of a 28nm dual-GPU in the shape of the GTX 690 4GB. Where AMD still holds sway though is at the more lucrative lower price points, having already launched its full product stack of 28nm parts right the way down to sub £100 prices. Today sees Nvidia attempt to chip away at this, with the GTX 670 2GB expanding the range of Kepler GPUs and bringing the fight to the £330 price point. Sure, it’s still a high price to pay for a GPU, but as demand for GTX 680 2GBs is keeping prices firmly above the £430 mark, it’s still a sizable difference. Let’s start by taking a look at the GTX 670 2GB’s GPU. You can read more about the Kepler architecture in our GTX 680 2GB Review, but the GTX 670 2GB uses the same Kepler GK104 architecture of both the GTX 680 4GB and GTX 690 4GB, with the move to 28nm seeing a dramatic jump in stream processor count, but also the unification of the core and shader clock. A similar layout to the 5-series’ GF114 GPUs means four graphics processor clusters (GPCs) of two streaming multi-processors (SM) each, but in a predictable reduction in comparison to the GTX 680 2GB, Nvidia has disabled a single SM on the GTX 670 2GB. This means the loss of 192 stream processors, 16 texture units and one of the GPU’s eight polymorph engines, leaving a total of 1,344 stream processors and 112 texture units still in place. The rest of the GPU’s core architecture remains unchanged though, with 32 ROPs and four 64-bit memory controllers, for a 256-bit memory interface. The GTX 670 2GB’s GPU also differs from the GTX 680 2GB when it comes to clock speeds. 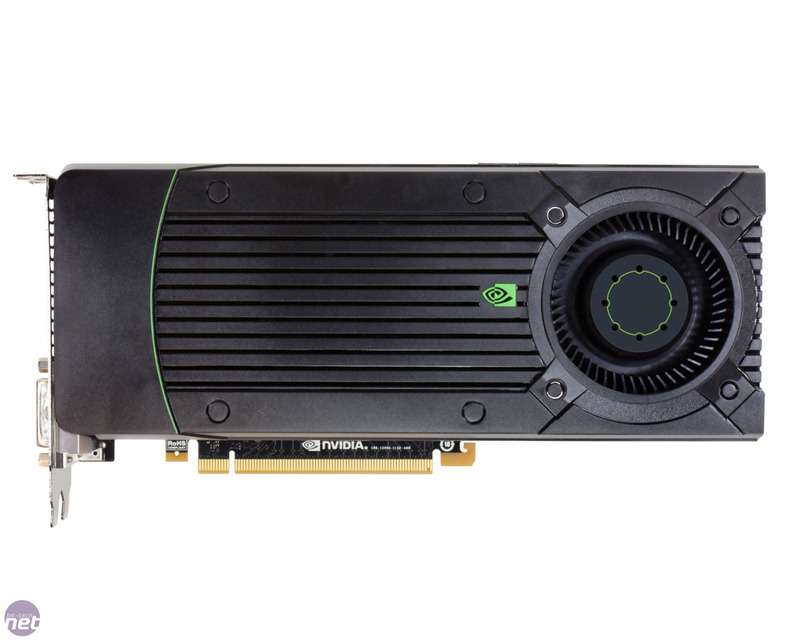 As with all Nvidia 6-series GPUs, the card utilises Nvidia’s GPU Boost technology. This sees a card sport a base clock, at which it will run regardless of load, and a guaranteed boost clock, at which it will turbo boost to given the right circumstances. The GPU can, and does, boost above this boost clock given the right thermal, power and load demands. The GTX 670 2GB’s base clock is 915MHz, 91MHz lower than the GTX 680 2GB, while its guaranteed boost clock is 980MHz. However, while the GTX 680 2GB’s boost curve topped out at 1,110MHz (104MHz above the base clock), the GTX 670 2GB can boost up to 1,084MHz, 169MHz above its base clock, or an 18 per cent increase. This means that, when GPU boosting, the GTX 670 2GB isn’t running too far behind the GTX 680 2GB when it comes to effective clock speeds. While the GPU frequency may have been re-jigged, the GTX 670 2GB’s memory interface, speed and amount are unchanged from the GTX 680 2GB. That means 2GB of GDDR5 running at 1.5GHz (6GHz effective) for a total of 192.26GB/sec. This remains less than the AMD competition, but is limited by the card’s 256-bit interface.